Claude Littner is best known as the mercilessly tough interviewer on the BBC's award-winning The Apprentice. His abrupt style and zero-tolerance policy on nonsense have become the highlights of every series. But what is he like in real business? CLAUDE LITTNER is a British business executive. He started his career as an accountant at Unilever in the early 1970s, and has since become a hugely successful turnaround specialist and the chief executive or chairman of a number of high-profile companies, including Tottenham Hotspur, where he was chief executive from 1993 to 1998. He is also a fixture on the BBC's hugely popular The Apprentice TV show, having appeared in every series since it first aired in 2005. In 2014, the University of West London's business school was named after Claude in appreciation of his exemplary professional track record and contributions to the university. He is currently a visiting professor there, focusing on training the next generation of outstanding business people. 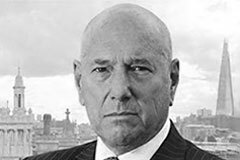 MIUC has been privileged to have Claude Littner as an advisor, a strategic partner and a friend.